The Wyoming Game and Fish Department, the Wyoming Department of Transportation and local nonprofit organizations in the Jackson area are collaborating on a study to gather more information on where moose cross highways in between Jackson and Wilson. 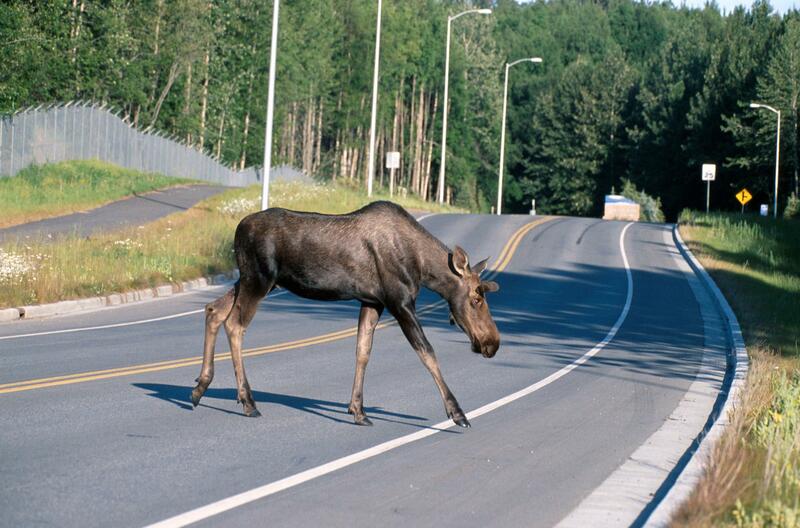 The area along Highways 22 and 390 from the Town of Jackson to the Idaho-Wyoming state line, especially within the Snake River Corridor, has been documented to have the highest number of moose-vehicle collisions in the state. A study has been initiated to help inform future highway reconstruction in this area. "The primary objectives are basically to evaluate daily and seasonal movements along the Snake River and associated highways in and around our project area," said Keith Compton, the WYDOT Rock Springs district engineer. Compton said they will be doing this by capturing and collaring ten moose this month. "Those ten GPS collared moose will be the primary focus for this particular area," said Compton. "We do have data in and around the project that show where moose-vehicle collisions have occurred as well as observations." The data will be collected for two to three years and will be used to determine the design of the Snake River bridge reconstruction and the Highways 22 and 390 intersection reconfigurations. This may include a wildlife crossing structure. When StoryCorps came to Jackson last summer, Scott O'Hare sat down with his wife, Kacy, to talk about memorable encounters they've had with moose. Both of them grew up in cities, so neither of them were accustomed to a lot of wildlife before moving to Jackson. Moose numbers are down across Wyoming. Now, a woman who lives in what used to be known as moose country is asking Wyoming’s Game and Fish Department to stop hunting near her Wood River home near Meeteetse. A hunter who has been waiting for decades to hunt moose there disagrees and the Wyoming Game and Fish Department is caught in the middle. The Jackson area has been well known for its moose for a long time. When a big bull moose steps out of the willows, tourists are amazed.